Where unique and beautiful things are born. 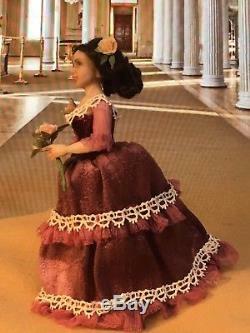 My new OOAK miniature 1:12 doll is a Victorian lady. This beauty is 5 and a half inches tall. Her arms are slightly movable. In her left hand she'd holding a bouquet of silk roses, made by me. 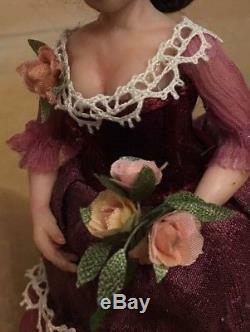 Her realistic face and hands are highly detailed and made from my own mix of professional clays. No molds were used or taken in this process. Her eyes are blue and made of glass. 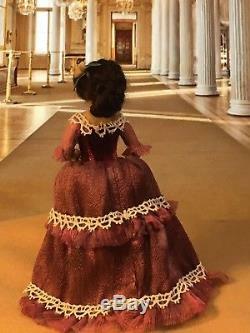 All her clothes are made of burgundy silk and velvet. She can comfortably stand on her own without any support, but her little stand will be coming with her. This doll is of a great quality, very sturdy and soft to the touch, but it's not intended for children to play with. 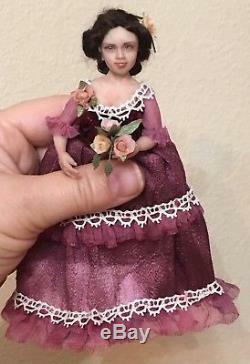 It is entirely hand sculpted by me, one of a kind doll. All my dolls come to their owners signed and with a Certificate of Authenticity. 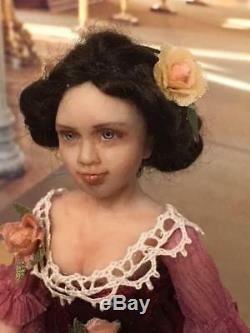 The item "Miniature Victorian doll OOAK hand sculpted, 1/12 scale dollhouse, ALMA Artistry" is in sale since Sunday, May 20, 2018. 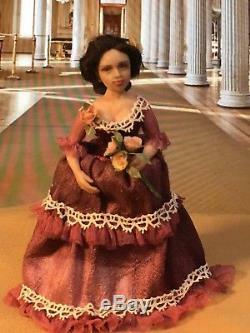 This item is in the category "Dolls & Bears\Dollhouse Miniatures\Doll House Dolls". The seller is "almaartistry" and is located in Orlando, Florida. This item can be shipped worldwide.